Quite predictably, last month’s bestsellers feature mostly WordPress. The more showcases like this one I put together, the more I realize how true this statement is – WordPress is everyone’s favourite CMS. 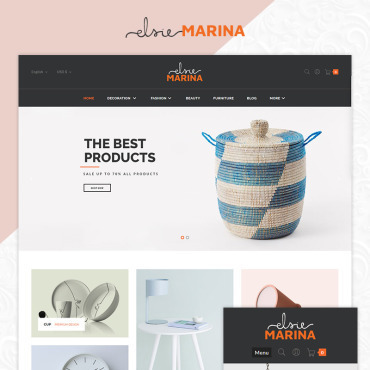 So, below you’ll find a lot of WP themes for various businesses and with different features, a couple of Magento themes, two website templates, one incredible Joomla template and one PrestaShop theme. I won’t distract you any more from the templates themselves, they are worth all the attention after all! 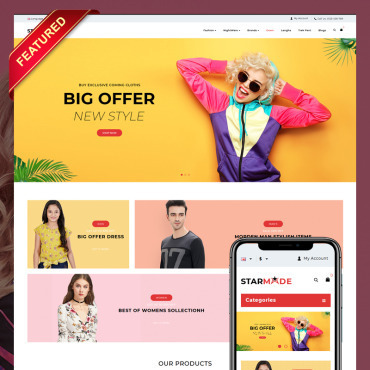 This Fashion Magento Theme is done according to the latest design trends, features fully responsive grid-like layout, retina-ready images, Mega Menu, Tooltips, drop-down menu and much more. I think you’ll be quite impressed with the HTML plus JS animation and the seamless customization process. 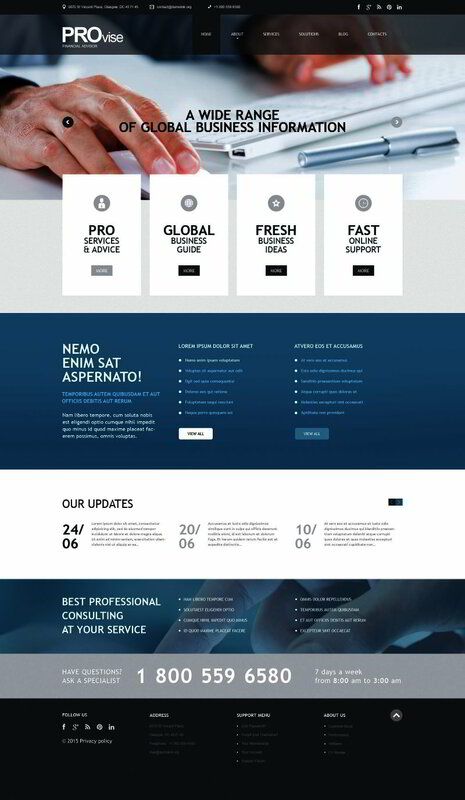 This sleek and modern business WP theme has the perfect color scheme for a finance-related online business, clean layout that is fully responsive and cross-browser compatible. The theme comes with a drag-and-drop content editor, Cherry framework 4, contact and newsletter subscription forms. Check out the live demo for a closer look! This responsive business WordPress theme is a perfect example of how a contemporary business website should look like. 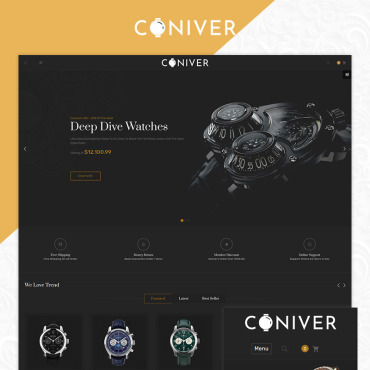 The theme is feature rich and brilliantly functional. The blue, grey and white colour palette create business atmosphere in the design and the visual features such as parallax scrolling effects, hero header and a great choice of gallery scripts make the theme dynamic and modern. This real estate WordPress theme is a great choice for those who need exceptional design along with flawless WP functionality in a business online presence. The best real estate WordPress theme is fully responsive and comes equipped with a set of features, forms and page templates any business owner would appreciate. This elegant Wedding WordPress Template has flowers everywhere – in the hero header area, in slider, in the full-width photo background at the bottom of the home page, on the banners, this makes the design of this responsive WordPress theme so very fitting for a wedding-related website. The theme has many awesome features which you can see closer in the live demo. In case you’re seeking other premium themes to put up your very own website, take a look at wedding WordPress themes. 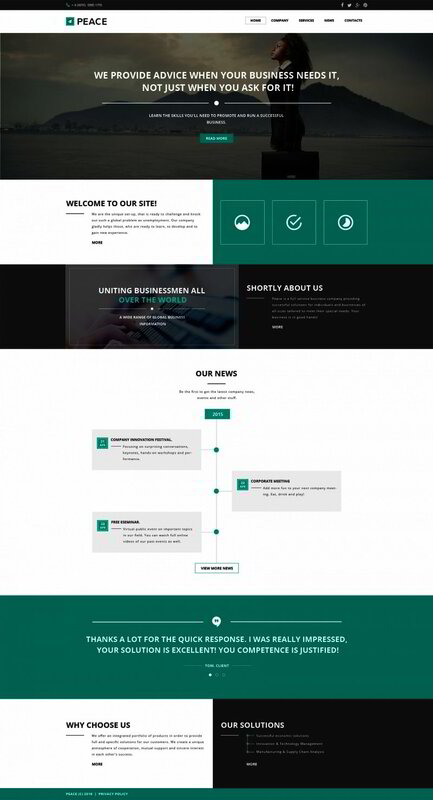 The communication business WordPress theme you see above has quite neutral design and can be easily customized to flawlessly accommodate any type of business website. The hero header area here features a stunning slider with animated effects, the responsive layout and cross-browser compatibility guarantee impeccable performance on any device and any platform. Wegy is not your average Joomla template, this is a professionally executed multi-purpose Joomla theme. 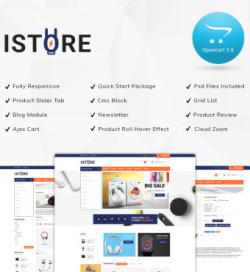 The fully responsive layout comes with 14 pre-designed pages, 10+ social modules, VirtueMart integration option is included. Mega menu, parallax effects, a selection of gallery scripts and sliders, integrated Google map, sample content to try it all out and much more features come with this template. 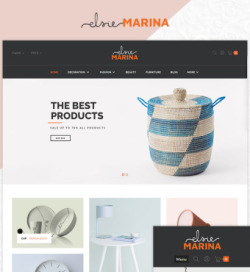 This very clean WordPress design for fashion-related website is done in minimalistic design style and will be perfect for a young designer online presence or a small design bureau website. The showcase options include grid, justified masonry and list styles. The parallax scrolling effect and video integration will help grab the users attention and create dynamics on the page. Powered by Cherry framework 4 and equipped with MotoPress editor this art WP theme is not only visually perfect but pristine functionally as well. The features include video background, Mega Menu, parallax effects, contact from and built-in Google map among others. Check out the live demo for closer view! This industrial WordPress layout is very impressive both visually and functionally. The content is provided in comprehensive, well structured blocks, the full-width images in the hero slider will adjust with the rest of the design to any screen size, and Cherry framework 4 will give you full control over the theme and its appearance. Every business needs a good online presence to be truly successful these days. 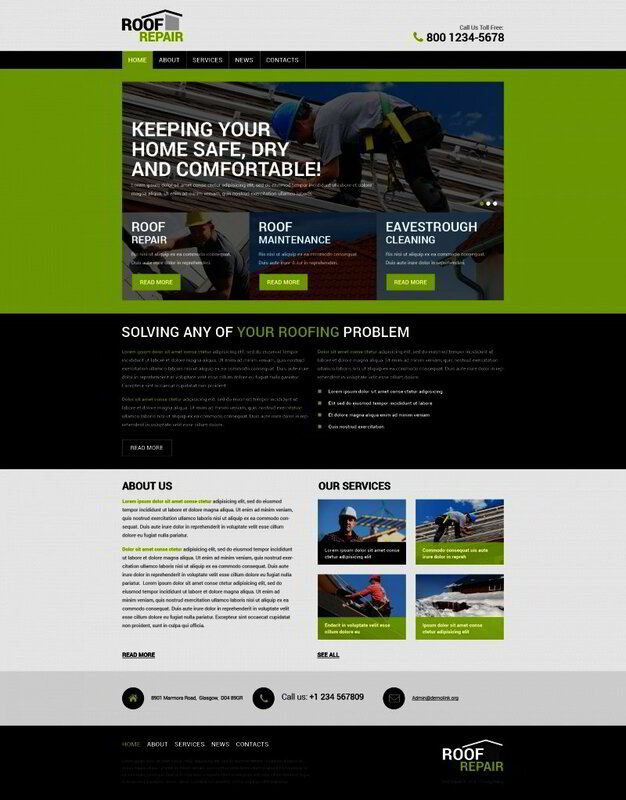 This construction business WP theme is aimed to help create such a presence for a contemporary construction company. The theme has an unobtrusive background, brightly colored details, simple and well structured responsive layout and it features parallax scrolling effects, which make it even more impressive. 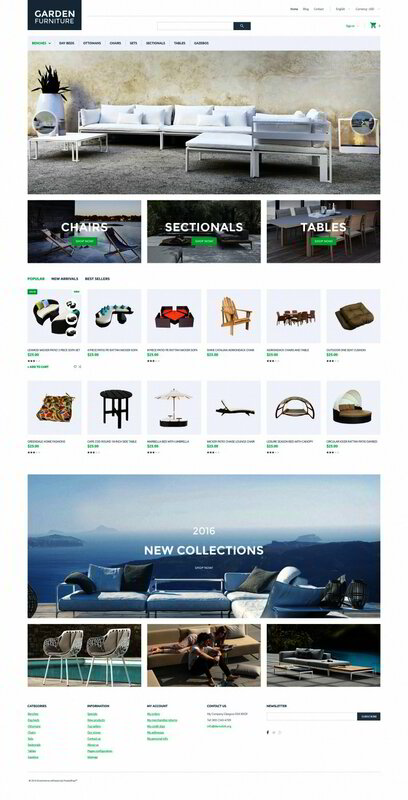 This interior design PrestaShop template is a fully responsive, clean and dynamic design for an online furniture store. The theme supports multiple languages, the features include MegaMenu, product zoom, product badges and quick view. The colors can be easily changed with the theme color switcher. 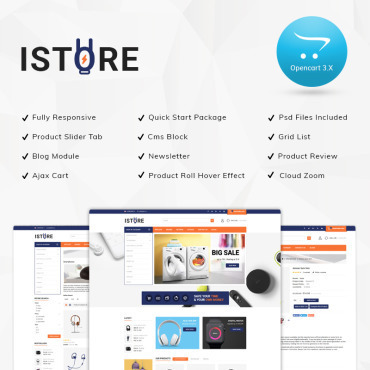 Overall, this PrestaShop theme is a versatile shopping cart solution for a modern store. 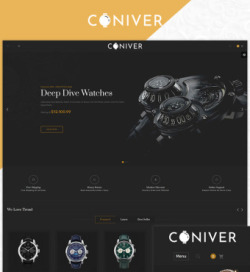 The consulting WordPress theme above is a professional WP design meant to create a modern and successful online business. Launching a business website has never been easier, the MotoPress editor and Cherry framework 4 will let you have the full control over the theme, it appearance and functionality. The clean and fully responsive layout features MegaMenu, parallax effects, a choice of gallery scripts and much more. 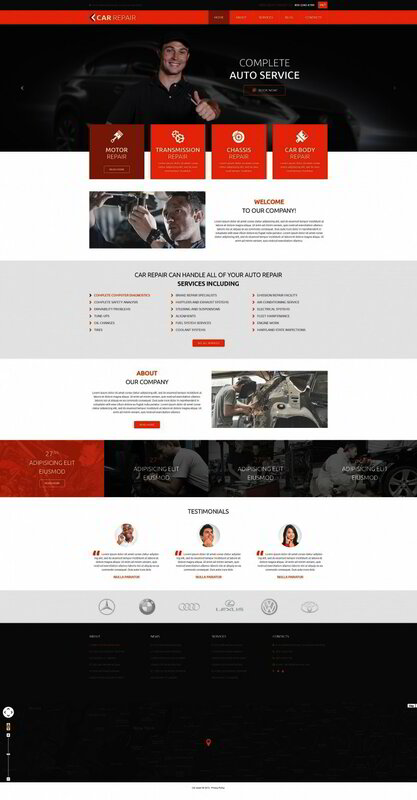 Lazy load effect and responsive nature of this Cars WordPress Theme assure the flawless performance on any device your website visitor might use. Other features include parallax scrolling effects, which bring in dynamics, audio and video integration options to add exciting media to the business website, drop-down menu and back-to-top button to give the customers a better user experience. Neutral color scheme and minimalistic style make this Hotel WordPress Theme a good choice for pretty much any kind of hotel. This responsive WP theme is very easy to customize, the Cherry framework 4 makes the customization an especially enjoyable experience. The grid-like content structure is comprehensive and eye pleasing, parallax scrolling effects bring in some excitement and the hero header along with the custom design elements create unique atmosphere. This sports WordPress Theme is professionally designed to accommodate a fishing club online presence. With the help of Cherry framework 4 though, it can easily be modified to fit any other kind of sports-related website. The customization process will be fun and effortless. The theme is of course fully responsive and cross-browser compatible, and as such is guaranteed to perform flawlessly on any device, any screen size and any modern browser, giving your visitors the best user experience. This WordPress theme for an environmental protection agency has the most fitting color as the primary one – green. Parallax scroll and HTML plus JS animation create captivating visual effects, audio and video integration will add some excitement and provide you with more ways to deliver the information to your audience. Check out the live demo to see these and other features in action. This responsive WordPress theme is created for a professional web design studio and as such is very modern, clean and functional. There’s a nice choice of gallery scripts that includes Accordion, Carousel, Isotop and Slider, skillfully implemented Parallax scroll and HTML plus JS animated effects. Powered by Bootstrap and equipped with MotoPress drag-and-drop editor, this amazing WP theme can be effortlessly customized and maintained. If you need a fully responsive Real Estate WordPress Theme you definitely will like this one above. The theme is ultra modern and minimalistic, the design features full-width photo backgrounds, calm pastel colors and perfectly done Parallax effects on scrolling. The animated effects here are done with HTML plus JS animation, there’s audio and video integration options and a choice of gallery scripts. This bold and modern WordPress design is done in contrasting colors which make this design a thing you simply can not pass by. The theme is 100% responsive and cross-browser compatible, equipped with drop-down menu, back to top button, Google web fonts and tooltips. Make sure to take a look at the live demo version! Strangely enough fishing turned out to be a popular topic last month among our customers, there’s two fishing-related templates in this showcase and that’s a lot for such a specific topic. This one though is a shopping cart solution. 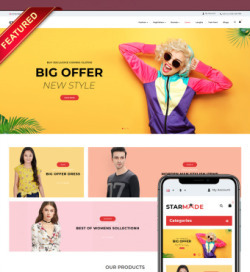 This responsive Magento theme comes with a set of incredibly useful features, a range of web forms and animated effects. You’ll need to look into the live demo to see it all in action. This transportation website template has such an amazing hero header it grabs the visitor’s attention immediately. Parallax scrolling and animated effects done with HTML plus JS animation create even more captivation. Make sure to check out the live demo! This impressive WordPress theme has so many amazing features I’ll have to write a whole separate article about it. Parallax scrolling, background video, drag-and-drop content editor, commenting system, newsletter subscription form and contact form, page templates. These are just a few. Powered by Bootstrap and equipped with Cherry framework 4, this Fashion WordPress Theme is impressively functional and exceptionally easy to install and customize. The design is elegant, stylish and it features amazing visuals, just like a good fashion website should. This responsive business website template is exceptionally modern. The colors here are very contemporary and stylish shades of the traditional for business color scheme – blue and white. 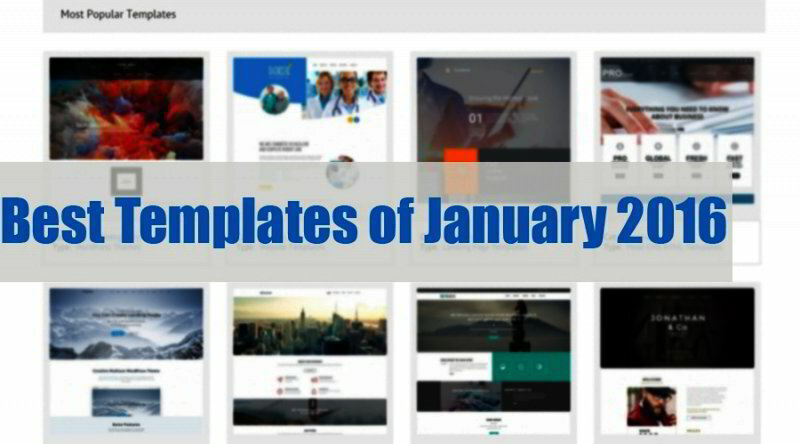 The template is simple and minimalistic, very clean and clear content arrangement makes it perfect for a business project online.